You Are About to Learn About a Complete PCOS Solution That Could Transform Your Health Forever! Learn how you can get your 5-Element PCOS System here! You are ready to become the Queen and CEO of your health! You CAN heal your symptoms...for good. Healing your symptoms is actually your choice. And you can choose to start right now. You don’t have to take a bunch of medical tests or wait for a doctor to hand you a pill, because there are not conclusive tests and there is no magic pill. The Insulite PCOS 5-Element System is the only complete system on the market today helping women heal their symptoms of Polycystic Ovarian Syndrome and hormone imbalance. PCOS is a complicated syndrome, with many underlying factors...which is why women often experience PCOS in different ways...different symptoms in different degrees of discomfort. Really, anything that stresses your body emotionally or physically will throw you into hormone imbalance, and it can happen fast. The stress hormone cortisol rises and the blood sugar hormone insulin also rises causing your cells to become resistant to insulin. When cortisol and insulin are chronically elevated your body remains in the fight or flight state for too long causing many other hormone imbalances. And these imbalances lead to your PCOS symptoms. 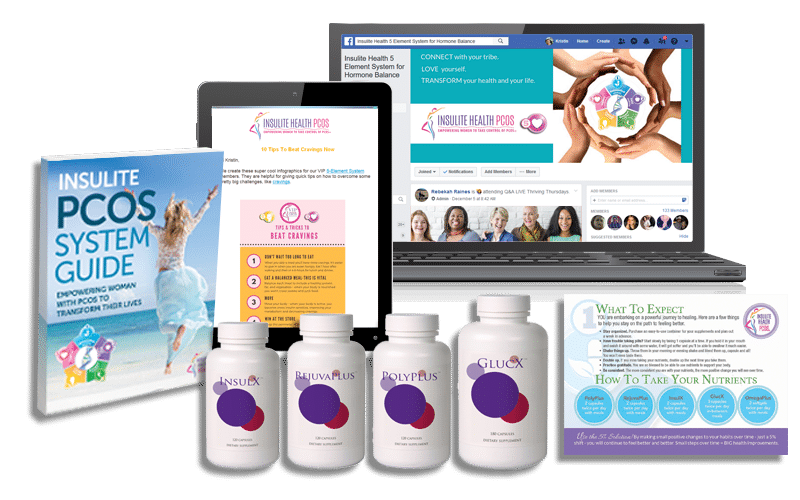 The PCOS 5-Element System supports you and your body to reduce and eliminate all of the Hormone Deal-Breakers, by providing you the tools you need to heal the underlying cause...insulin resistance and hormone imbalance. Alyssa Marie - Bragging moment! For the first time in 13 YEARS I'm having a normal period! Bleeding normally, NOT having excruciating cramps, NOT breaking out terribly and my hair is NOT falling out! I am so happy I could cry! This program helped me stay sane and given me my sanity back. I am in control of my body for the first time in my entire life. Truly a blessing. 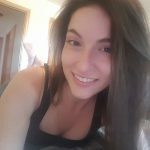 Sophia Theacos - I'm on week 6 and I've lost 9 lbs! My brain fog, anxiety, low irritable moods, forgetfulness has cleared. My head feels clear! I haven't plucked a hair on my chin for 2 weeks, my pimples have cleared and my sleeping has improved. With the right food, exercise and the supplements, I really do feel like on my way to being the best version of me! 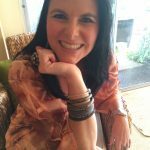 Megan Harris - I found Insulite Health by searching the web and I am so grateful. I tried different natural products that helped initially but after a few months the symptoms would eventually all come back. I am finally seeing results and I am so delighted. The support given by Robin and her team is just phenomenal and you will receive all the help you need. Brent Webb - My New Years resolution is Don’t stop!!! Did this happen over night? NO. Was it easy? NO. Am I there yet? NO. Can you do it? YES!!! As of this morning 81 lbs down. 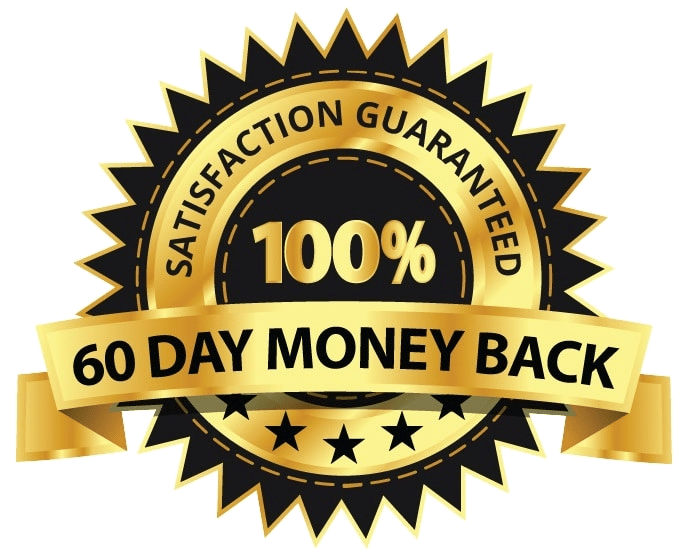 The PCOS 5-Element System is designed to guide you to make small changes over the course of 6-12 months...so you begin healing your symptoms right away, and also create the lasting lifestyle transformation required to STAY HEALED. Order The 5-Element PCOS System. The World's Only COMPLETE Solution for Reversing and Healing PCOS Symptoms. A: The Insulite Heath 5 Element System is far more than just the nutraceutical supplements. How long it takes to notice positive improvements depends on the individual. Many people feel better in the first several weeks of being on the Insulite PCOS System, notably an increase in their energy and a decrease in their carbohydrate cravings. In the first 3-6 months, most women notice a significant decrease in their symptoms, including regulation of the menstrual cycle, weight loss, greater emotional stamina and stability, reduction in unwanted hair growth, and clearing of skin. A: We certainly don’t want our customers to have to take the Insulite Nutritional supplements for the rest of their lives! We do, however, hope you will continue the healthy lifestyle elements, including nutrition and exercise. 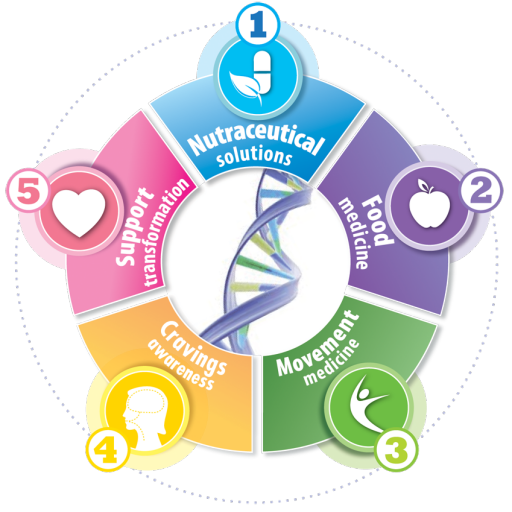 Scientific research overwhelmingly confirms the fact that a truly effective change in the body at a cellular level needs to be gradual. You did not develop PCOS overnight. Therefore, it is not realistic or safe to attempt or expect a complete reversal in a few days. We recommend that you follow the Insulite PCOS System for at least six months. A: No, a prescription is not required. A: Although some insurance companies recognize the use of nutritional supplements, unfortunately at this time, the majority of insurance companies do not. A: Members of Insulite’s Consulting & Advisory Teams are happy to look at the mechanism of action of your medications and the System’s supplements to assess the likelihood of interactions. Just contact us to discuss your specific medication. A: We cannot promise the Insulite PCOS System will reverse infertility, although we know it can address several of the causative factors behind this condition. As stated on our website, losing weight and getting your insulin levels regulated will help to reduce ovarian cysts and help to normalize hormonal imbalances, thereby enhancing your ability to conceive. A: Insulite Health congratulates you on your pregnancy. We recommend that you discontinue the use of the Insulite Nutritional Supplements and switch to the Pregnancy PLUS System until you have stopped nursing. While we know the Insulite PCOS System is safe, the Insulite supplements have not been tested in clinical trials on pregnant women. But we strongly encourage you to stay on the nutrition and exercise plans as these recommendations are both safe for pregnant as well as nursing mothers. A: Insulite Health congratulates you on your pregnancy and the birth of your child. We recommend that you discontinue the use of the Insulite Nutritional Supplements and switch to the Pregnancy PLUS System until you have stopped nursing. 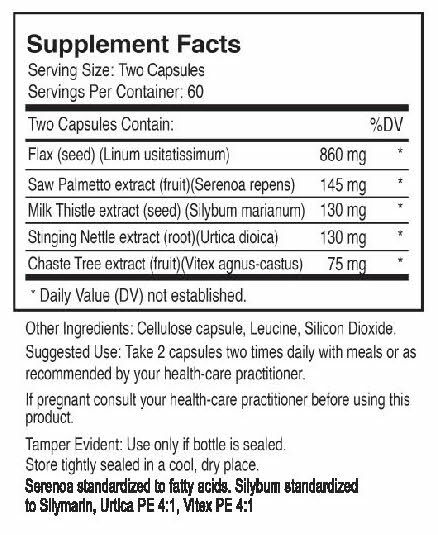 While we know the Insulite PCOS System is safe, the Insulite supplements have not been tested in clinical trials on pregnant women. But we strongly encourage you to stay on the nutrition and exercise plans as these recommendations are both safe for pregnant as well as nursing mothers. A: No, none of the elements of the Insulite PCOS System will have a negative impact on blood pressure levels. A: We do not sell the different elements individually, because the Insulite PCOS System is designed to work as a whole. The diet, exercise, and community support elements are included in the price of the Insulite PCOS System. A: Yes, the diet and exercise recommendations are safe for everyone over the age of 12. It is recommended that teenagers take the Insulite Nutritional Supplements at half the adult suggested use because there have been no clinical studies conducted with teenagers using these formulas.Please contact our Consulting & Advisory Teams to discuss suggested uses for YOUR teenager. A: As you get into the Nutrition and Exercise Plans, and the longer you use the Insulite PCOS System, you should feel more energized and your levels of stamina are apt to stay constant throughout the day. Afternoon lulls in focus or concentration should decrease. You are certain to experience a marked reduction in cravings for simple carbohydrates in the early afternoon. Most people will also sleep more soundly and will awake more refreshed in the morning. A: There is no gluten in any of our formulas. A: Yes. We recommend that you still comply with the diet, exercise, and nutritional supplementation because most likely you still suffer from some hormonal imbalances that cause PCOS symptoms to continue. A: Yes. It is important, however, to monitor your blood sugar levels 3-4 times per day, especially initially. The diet changes we recommend require that individuals with hypoglycemia are vigilant about their blood sugar levels. Additionally, if you suffer from hypoglycemia, eat 5-6 small meals per day that are protein-based and watch consumption of carbohydrates. A: Many of our clients are on glucose-lowering drugs and some take them when they are on the Insulite PCOS System. While it’s unethical to tell you not to take any medicine, we can tell you that the Insulite PCOS System is designed to have a similar effect as this medication. It is our philosophy to treat the cause of the condition and not modify symptoms. Please consult with your physician if you wish to discontinue the use of any medication. A: Yes. If you decide to take Metformin (glucophage) while being on the Insulite PCOS System, please make sure to take the glucophage separately from the PCOS-GlucX product. GlucX contains fiber, which can interfere with the absorption of glucophage if they are taken simultaneously. We recommend taking the PCOS-GlucX four hours apart from the glucophage. A: Yes, it is safe to take Actos and be on the Insulite PCOS System simultaneously. A: Yes. 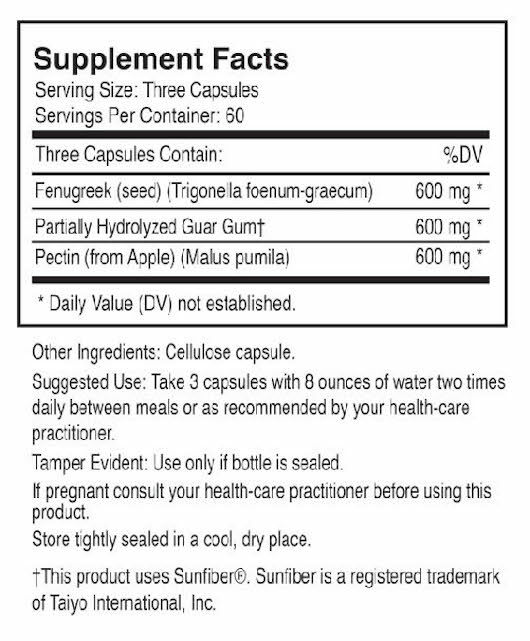 You can take your multivitamins while on the Insulite PCOS System; however, don’t take it with the GlucX. 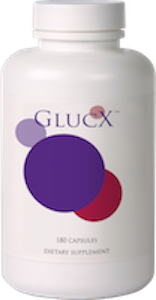 Because it is a soluble fiber, the GlucX can interfere with the absorption of vitamins (and any other medications). To be safe, we recommend that GlucX be taken at least an hour before meals. 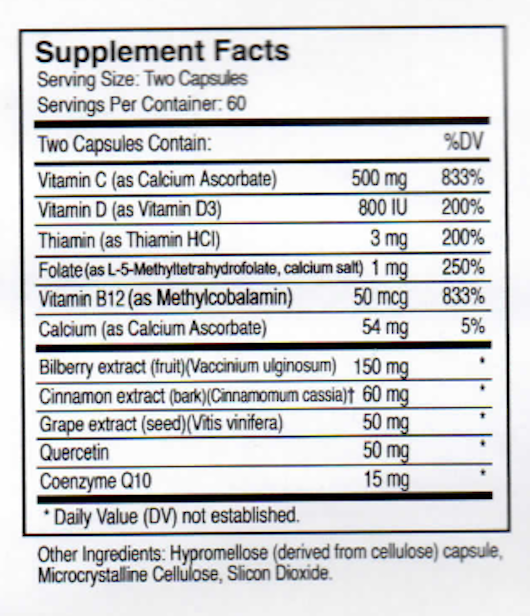 Your vitamins can be taken at meal time with the InsulX and RejuvaPlus. 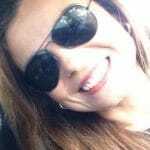 A: No, with proper nutrition and diet and a moderate exercise plan, you can certainly manage and perhaps even REVERSE the conditions of PCOS and Insulin Resistance which ultimately will be the best strategy to prevent Diabetes. A: The Insulite PCOS System recommends a more realistic and healthy nutrition plan and emphasizes a reasonable exercise plan. Once you master both of these concepts, the likelihood of gaining weight in the future is minimal. 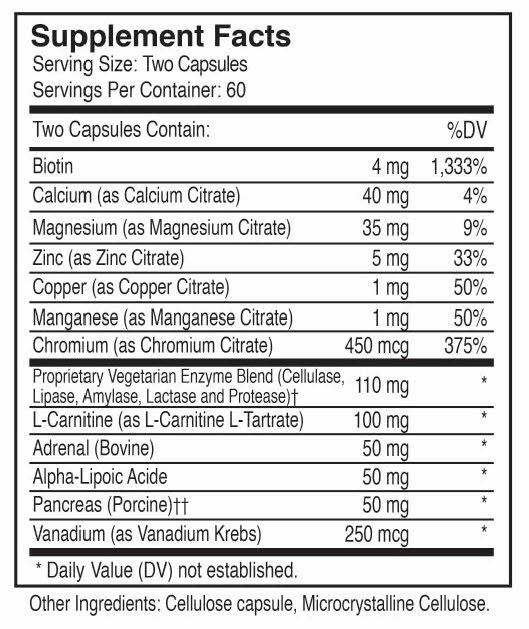 The nutrients in our Nutritional Supplement element increase the way your body uses insulin and reduces the cardiovascular effects of having too much insulin. The Atkins diet merely suggests severe carb restriction without emphasizing the importance of healthy nutrients to reverse the condition of Insulin Resistance.